Hospital operator Health Management Associates, parent company of Knoxville-based Tennova Healthcare, said this week it is repaying $31 million in federal and state incentive payments that it should not have received. The company said it is restating financial reports for the last three years and withdrew its previously issued earnings guidance for 2013. The restated earnings reports are not expected to effect the proposed sale of HMA to Community Health Systems Inc., HMA said in a news release. Franklin, Tenn.-based CHS has proposed to buy HMA for $7.4 billion in cash and assumption of debt. Both companies expect the sale to close in early 2014, HMA said. Naples, Fla.-based HMA said it incorrectly applied the “meaningful use” standard in applying for Medicare and Medicaid incentive payments given to hospitals of their use of electronic health records. Eleven of its 71 hospitals received the payments. HMA said it has repaid some of the incentive payments and it “is in process of repaying the balance of the funds to the relevant state programs,” according to a news release. The $31 million in incentives were incorrectly recognized as income between July 1, 2011 and June 30, 2013, which required the company to restate its financial reports for 2010, 2011 and 2012 and the first two quarters of 2013. The company said error was caused by “a material weakness in internal control relating to the administration and oversight of its EHR (electronic health records) enrollment process.” The problem is being corrected, HMA said. This entry was posted in Health Management Associates and tagged Community Health System, electronic health records, Health Management Associates, incentives, Medicaid, Medicare, Tennova Healthcare on November 7, 2013 by Roger Harris. UPDATED: It’s been more than six weeks since Community Health Systems offered to buy competitor Health Management Associates for $7.4 billion and no other bidders have stepped forward. HMA’s largest shareholder, Glenview Capital Management, called the takeover proposal a low-ball offer and spearheaded a shareholder vote to replace the HMA board with a slate of Glenview independent nominees tasked with getting a better price. But it’s looking like the CHS offer is the best deal HMA can get, according to a Bloomberg report published today. “No rival bidders have emerged, and analysts are forecasting a 16 percent profit drop when Health Management reports third-quarter results. That will boost the odds of Health Management investors voting for the deal, UBS AG said. Without the takeover, Health Management owners risk seeing the stock plunge as much as 37 percent, Susquehanna International Group LLP estimates. Shareholders should take the money and run because Health Management faces a challenging turnaround, according to CRT Capital Group LLC,” Bloomberg reported. Naples, Fla.-based HMA is the parent company of Knoxville-based hospital operator Tennova Healthcare. CHS is based in Franklin, Tenn. The future of HMA is being closely watched by Tennova officials and could impact Tennova’s plans to build a new hospital on Middlebrook Pike in West Knoxville. This entry was posted in Health Management Associates and tagged Bloomberg, Community Health System, Glenview Capital Management, Health Managsment Associates, takeover, Tennova Healthcare on September 13, 2013 by Roger Harris. With a new board voted in by Health Management Associates shareholders and a competitor ready to buy the company, HMA executives have been busy selling their shares in the Florida-based hospital operator. HMA is the parent company of Knoxville-based Tennova Healthcare, which runs six hospitals in the Knoxville region. Chief Financial Officer Kelley E. Curry, Senior Vice President-Finance Robert E. Farnham, and Senior Vice President and Controller Gary S. Bryant,are among those who have sold more than $11 million worth of shares in the past several days. Curry was the big mover, selling more than 817,000 shares for more than $9 million from Aug. 16-Aug. 26. HMA certified on Aug. 16 a shareholder vote to install a completely new board. Franklin, Tenn.-based Community Health Systems announced July 30 that it would buy HMA for $7.6 billion, including assumption of debt. Click here for HMA’s announcement of new board. Click here for Community Health’s purchase announcement. This entry was posted in Health Management Associates and tagged board, Community Health Systems, Gary S. Bryant, Health Management Associates, Kelley E. Curry, MarketWatch, Robert E. Farnham, stock on August 29, 2013 by Roger Harris. Health Management Associates’ ratings will not be immediately affected by a shareholder vote to replace the company’s board, ratings agency Fitch Ratings said in a statement released Monday. HMA is the parent company of Knoxville-based hospital operator Tennova Healthcare. “Fitch will review the ratings when there is better clarity on whether the shareholders are likely to approve the acquisition agreement with Community Health Systems (Community), as well as details of any plan by the new board to manage an operational turn-around of the company,” Fitch said. Franklin, Tenn.,-based Community Health has struck a deal to buy Naples, Fla.-based HMA for a cash and stock deal valued at $7.9 billion, including assumption of debt. HMA on Friday announced that a shareholder vote replace the company’s board had been certified. A majority of shareholders also approved the appointment of eight new board members nominated by HMA’s largest shareholder, hedge fund Glenview Capital Management. The new board members are Steven Epstein, Mary Taylor Behrens, Kirk Gorman, Stephen Guillard, Joann Reed, John McCarty, Steven Shulman and Peter Urbanowicz. Glenview, which is run by investment guru Larry Robbins, has been campaigning for months to replace the HMA board. Glenview has said the Community Health purchase offer establishes a floor price and a new board should be able to negotiate a better deal. Fitch Ratings questions whether a high purchase price is viable. Community Health’s offer is “consistent with other transactions recently announced in the for-profit hospital space, most notably Tenet Healthcare Corp.’s planned acquisition of Vanguard Health Systems for $4.3 billion,” Fitch said. In its most recent financial report, Health Management said hospital admissions fell 6.7 percent in the second quarter. Last month, Fitch place HMA’s ratings on “Negative Watch” following Glenview’s proxy solicitation to replace the board. Click here for the Fitch Ratings website. Click here for the HMA announcement. This entry was posted in Health Management Associates and tagged board ouster, Fitch Ratings, Glenview Capital Management, Health Management Associates, new board, ratings, Tennova Healthcare on August 19, 2013 by Roger Harris. The battle for control of Health Management Associates, parent company of Knoxville-based Tennova Healthcare, continues to be interesting corporate theater. After initially saying no thanks, hospital operator HMA now says it will accept all eight of the new board members nominated by its largest shareholder, hedge fund Glenview Capital Management, “as long as the hedge fund is willing to retain two or three current directors,” according to the Wall Street Journal. The hedge fund run by investment guru Larry Robbins can even name the chairman, Naples, Fla.-based HMA said. Glenview wasn’t impressed by the offer. In a statement released Friday morning, Glenview trumpeted a report by corporate governance analyst Institutional Shareholder Services Inc., but mentioned nothing about the HMA offer. The ISS report supports complete replacement of the existing HMA board. “We appreciate that ISS is part of the broad and growing chorus of voices calling for complete change at HMA, and we believe ISS’s conclusions reflect not only HMA’s historical shortcomings but more importantly reflect the skill, sincerity, preparation and thoughtful approach of the eight nominees,” Glenview said. Also interesting is that Glenview Capital holds major stakes in both HMA and Community Health Systems, the Franklin, Tenn.-based company that has offered to buy HMA for $3.9 billion. Glenview is the largest HMA shareholder with a 14.6 percent stake and Glenview owns about 9.5 percent of CHS, making it the largest CHS shareholder. Click here for The Wall Street Journal story. Click here for HMA’s statement on the ISS report. This entry was posted in Health Management Associates and tagged Community Health Systems, Glenview Capital Management, Health Management Associates, hedge fund, Institutional Shareholder Services, Larry Robbins, shareholder, Tennova Healthcare on August 9, 2013 by Roger Harris. Community Health Systems wants to buy peer company Health Management Associates, parent company of Knoxville-based Tennova Healthcare, but getting the deal done may not be easy. Major HMA shareholder, Glenview Capita Management, opposes the CHS offer and continues to push for an overhaul of the HMA board. Glenview, which has a 14.6 percent stake in HMA, on Tuesday turned down HMA’s offer “to immediately add” Glenview nominees to the board, including one who would serve as chairman. Naples, Fla.-based HMA made the offer in a statement released late Tuesday. In a strongly worded statement released shortly after HMA’s news release, Glenview rejected what it called a “hybrid” board, saying HMA shareholders are already considering the proposal for a completely new board. “It would be inappropriate for Glenview to take any action which would circumvent Shareholders’ rights in this consent solicitation,” Glenview said. 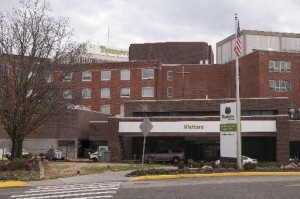 Franklin, Tenn.-based Community Health has offered to buy HMA for $3.9 billion, or $7.6 billion, including assumed debt. Glenview Capital has called the CHS offer a starting point for getting greater value for HMA shareholders. How Glenview’s effort to revamp the HMA board will impact the CHS offer is uncertain. The purchase has been approved by the existing HMA board and the CHS board, but still must be approved by regulators and HMA shareholders. Click here for the full HMA statement. Click here for the full Glenview Capital statement. This entry was posted in Health Management Associates and tagged board, CHS, Community Health Systems, consent solicitation, Glenview Capital Management, Health Management Associates, HMA, shareholders, Tennova Healthcare on August 7, 2013 by Roger Harris. A day after hospital operator Health Management Associates announced a plan to sell itself to Tennessee-based Community Health Systems at least seven law firms announced they have launched “investigations” on behalf of HMA shareholders. Naples, Fla.-based HMA is the parent company of Tennova Healthcare, which operates six hospitals in the Knoxville area. CHS said it would buy HMA for for $7.6 billion, including assumption of $3.7 billion in debt. The sale has been approved by the HMA and CHS boards, but still must be approved by regulators and HMA stockholders. Meanwhile, it will be interesting to see how many legal battle plays out. More announcements of law firm investigations can be expected. Click here for a Motley Fool take on the proposed sale. This entry was posted in Health Management Associates and tagged CHS, Community Health Systems, fidiciary duty, Health Management Associates, HMA, purchase, regulators, sale, shareholder value, stockholder on July 31, 2013 by Roger Harris.